There are many dental services available to help patients maintain strong teeth and a beautiful smile. However, tooth decay and other dental complications remain a common problem for patients. When decay or damage becomes severe, the most appropriate restorative dentistry treatment may be a dental crown. Dental crowns replace damaged tooth enamel and provide the natural tooth with an added layer of protection. Because of the many benefits that porcelain crowns offer, our Wilmington, DE patients are able to enjoy a strong, healthy, beautiful smile after treatment. Versatility: Dental crowns can correct a number of dental complications. Porcelain crowns fit over a tooth like a cap to provide strength and protection on all sides. Porcelain crowns can strengthen a tooth damaged by decay, erosion, injury, or severe cosmetic blemishes. In addition, porcelain crowns can be anchored to dental implants to address tooth loss. The wide range of applications is one of the many benefits of crowns. Affordability: Porcelain crowns are more expensive than some of the more conservative dental treatments, such as dental fillings. Still, porcelain crowns remain an affordable treatment option for most patients. In nearly all cases, dental insurance carriers will provide at least some coverage for dental crown treatment. Porcelain crowns can also save a severely damaged tooth and prevent the need for more costly tooth loss treatment. 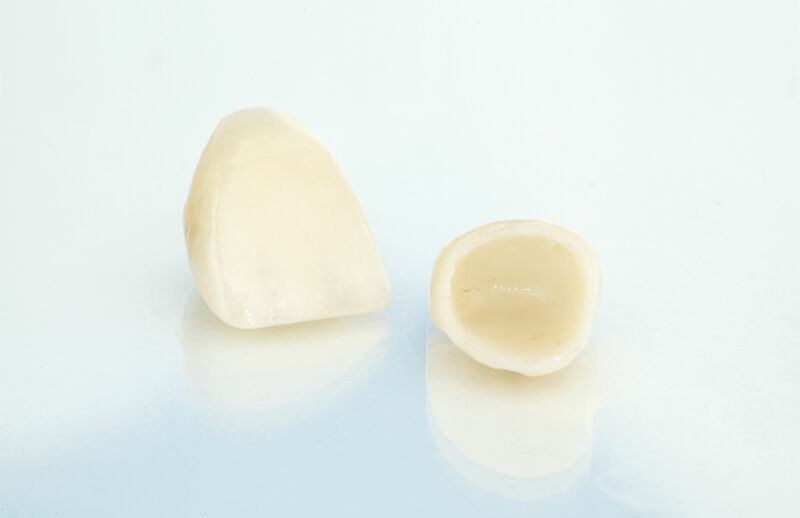 Durability: Porcelain crowns are fabricated with exceptionally strong materials. These restorations strengthen the natural teeth and are strong enough to withstand the regular wear and tear of biting and chewing. Because porcelain crowns are so durable, their average lifespan is 10 to 15 years. With proper care, many patients are able to enjoy the benefits of porcelain crowns for even longer. Aesthetics: Porcelain crowns are attractive restorations. They are customized to the specific needs of each patient to ensure they blend in with the natural teeth. Porcelain crowns can be personalized by size, shape, and color. Finally, porcelain crowns are stain-resistant, so they are likely to keep their attractive color for many years. All of these features allow porcelain crowns to enhance the beauty of a patient’s smile. Ease of care: Another benefit of porcelain crowns is their ease of care. Porcelain crowns are bonded to the natural teeth and are designed for a secure, close fit. Once placed, porcelain crowns look and function just like the natural teeth. This means they can also be cared for just as the natural teeth, with regular brushing and flossing. If you have a tooth that has been damaged by decay, injury, or cosmetic blemishes, porcelain crown treatment can help. Schedule an appointment with one of our experienced dentists at Smile Solutions at Emmi Dental Associates at your earliest convenience to learn more about porcelain crown treatment.